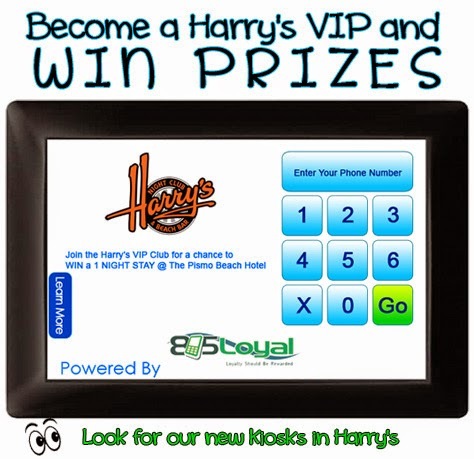 Harry's Night Club & Beach Bar: Become a Harry's VIP and WIN! Become a Harry's VIP and WIN! 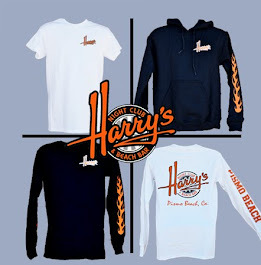 Now you can WIN prizes and rewards at Harry's! Join Harry's rewards program and become one our VIP members...It is so easy! All you need to do is text HARRY to 56955, or when you visit us at Harry's enter your phone number at one of our VIP kiosks. Just ask your bartender or waitress where you can find one of the kiosks. Once you text or enter your phone number, you automatically become a Harry's VIP. Enter anytime now through July 16th to win a one-night stay for two at The Pismo Beach Hotel. Winner will be announced via text on July 17th. We will continue to have awesome prizes to give away weekly, and we will update you via text of any drink specials, events and bands playing at Harry's. We appreciate all of you very much and we thank you for your continued patronage. The Pismo Beach Hotel is located right in the heart of the Downtown Pismo Beach area and offers great affordable lodging and accommodations. Only 1 block from the Pismo Beach Pier and by the Beaches and Dunes. Enjoy Restaurants, Shopping, Pier, and Ocean Activities just outside your room. This program looks cool. Could you please let everyone know what kind of presents will be given out? I’m sure they will be good but I’m just curious.